Can activists force New Haven institutions to see job creation as a civic duty, not just a byproduct of financial investment? New Haven, Connecticut, is forever “up and coming”; for years city officials have touted one redevelopment scheme after another. But the working-class residents in Yale’s backyard have been watching their neighborhoods sink ever deeper into despair. Community activists and labor groups charge that the city’s two flagship institutions, Yale University and the Yale New Haven Hospital system, have systematically excluded locals from job opportunities, and last December activists rallied in front of the hospital to press the city’s core economic engine to pump equity into its long-neglected neighbors. December’s civil disobedience in the streets outside the hospital—resulting in the mass arrest of 134 demonstrators—was a show of both solidarity and desperation in a paradoxically divided city. 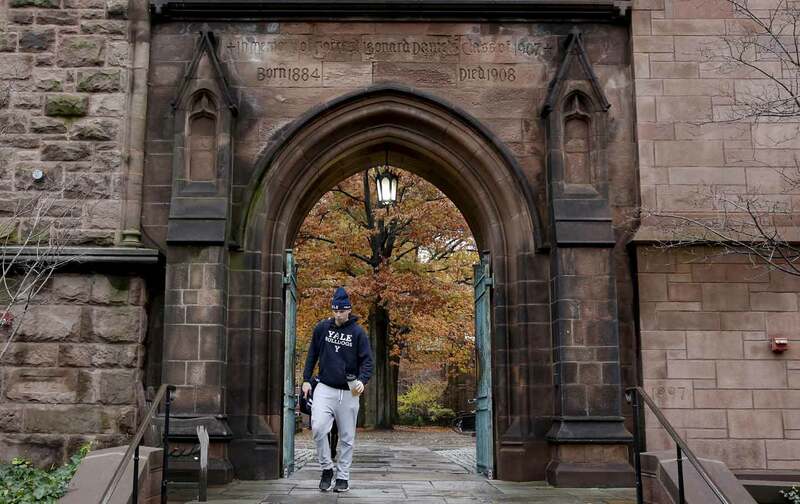 If the Yale community’s elite insularity has been criticized for homogeneous whiteness in its professional and academic ranks, everyday poverty in New Haven is strikingly diverse, for better or worse. A single census tract, 1402, the neighborhood south of the hospital known the Hill, embodies a pattern of systemic neglect: Child poverty among these 680 households exceeds 50 percent. The hospital overlooking it, combined with Yale University, provide about a third of local jobs, but precious few of them trickle down here. Disturbingly, while New Haven’s overall unemployment rate is lower now compared to four years ago, the proportion of jobless black and Latino residents remains about double that of whites, well over 15 percent. In the 1990s and early 2000s, Yale University made a concerted effort to invest in the local workforce, partnering with the city’s two UNITE HERE locals to boost local hiring. That progress stagnated with the recession—real-estate investments tanked while unemployment and crime swelled. Today, says New Haven Rising’s chair, the Rev. Scott Marks, “we hear that New Haven has an ‘uneducated’ workforce…. There are a lot of talented people that are wanting two or three different jobs…or they’re leaving town.” The group was founded in 2012 with the aim of fostering community-based development. In 2014 YNHH’s CEO Marna Borgstrom scored a multimillion-dollar compensation package, while a few blocks down, New Haven Rising points out, black and Latino families with children suffered epidemic poverty rates of 35 percent and 43 percent, respectively, compared to 14 percent of white families (which is still high compared to the rest of Connecticut). About half of the local population lives in low-income households. The hospital administration, according to New Haven Rising, has not formally reached out to the group to negotiate around its jobs proposal. But Vincent Petrini, senior vice president of public affairs for YNHH, tells The Nation via e-mail, “We share in the goal of creating and sustaining jobs for local residents,” pointing out that they have recently hired 600 local residents “and will continue to focus on creating those opportunities.” But labor advocates are skeptical of the sudden hiring spree, worrying it might signal high turnover rather than the secure living wage jobs they seek. Activists want the hospital to commit to providing more long-term jobs, through a transparent process that includes reporting data on the retention and distribution of employees by census tract and job positions. The job-creation plan would be implemented in collaboration with the community-based job development organization New Haven Works, with a commitment to providing the poorest neighborhoods with “a percentage increase in full-time permanent hiring” (paralleling the benchmarks Yale University agreed to in its separate hiring plan). As an on-ramp out of intergenerational poverty, workers would also have expanded access to scholarship opportunities and home-buying assistance, so that workers can build long-term equity in their neighborhoods. Reverend Marks knows that a few thousand jobs here and there will hardly dent the city’s jobs crisis, but the idea is to jump-start other local workforce investments. If the leading employers begin offering more quality jobs, he says, then across the city, “to compete for the best employees, you have other companies stepping up…to actually move in that direction” by offering competitive wages and benefits. With the city’s wealth so tightly concentrated in just two private institutions, advocates want the biggest local employers to start seeing job creation as not just a byproduct of financial investment but as a civic duty. Getting workers a foot in the door is a modest step toward leveling the city’s historically skewed economic landscape. “There should be a real, clear sense that everyone has their shoulder to the wheel trying to move this forward,” Marks says. Until they’re in the driver’s seat on their city’s path to redevelopment, they’ll keep going back to the streets.